Michael Paez is a Vice President of Investment Sales at The Kase Group. He specializes in the disposition and acquisition of single and multi-tenant net lease investments nationwide. 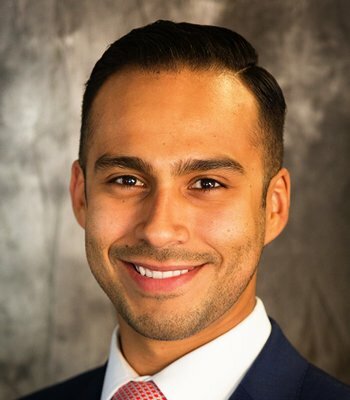 Before joining The Kase Group in 2015, Mr. Paez was a Net Leased Investment Associate at NAI Northern California. In 2012, he worked with Hall Capital Partners as a Portfolio Management Analyst. Mr. Paez received his undergraduate degree in Business Administration from The University of California at Berkeley’s Haas School of Business. Since 2010, he has been a mentor for the Young Entrepreneurs at Haas (YEAH), an organization that helps high school students in the Bay Area be the first in their families to attend college. Mr. Paez is also a proud member of the Latino Community Foundation and in 2015 he was a founding member of the Men’s Giving Circle. Outside of work, Mr. Paez enjoys the outdoors by cycling, backpacking and mountaineering.